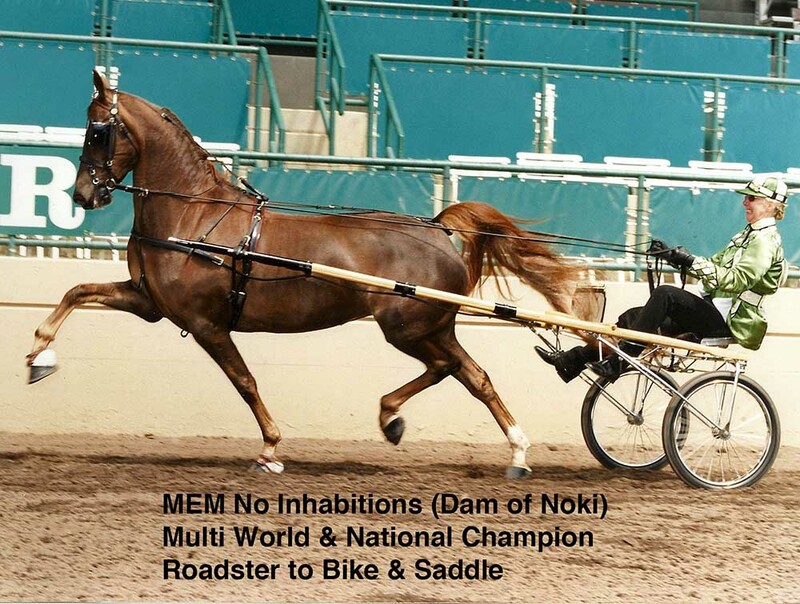 "Noki" is the daughter of two World Champion performance horses. 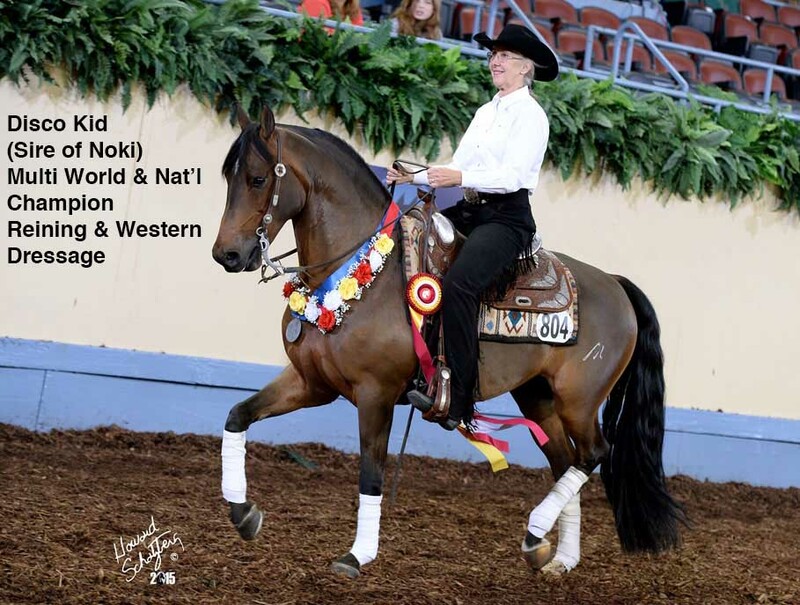 Her sire, Disco Kid, is the crowd-pleasing World Champion Morgan Reining horse, and her dam, MEM No Inhabitions, earned her roses in the speedy Roadster division. This lovely bay mare is conformationally correct and is as smooth to ride as it gets. Note the rider in the video sitting the trot regardless of the speed. The short video showing the flying lead change this young mare does with no excitement or concern sums up her personality--calm, willing, happy in her work and ready to learn whatever is next on the agenda. Noki would be suitable for western dressage, western pleasure, trail and ranch riding. She made her debut in this popular new division at the 2018 Morgan Grand National in Oklahoma City.